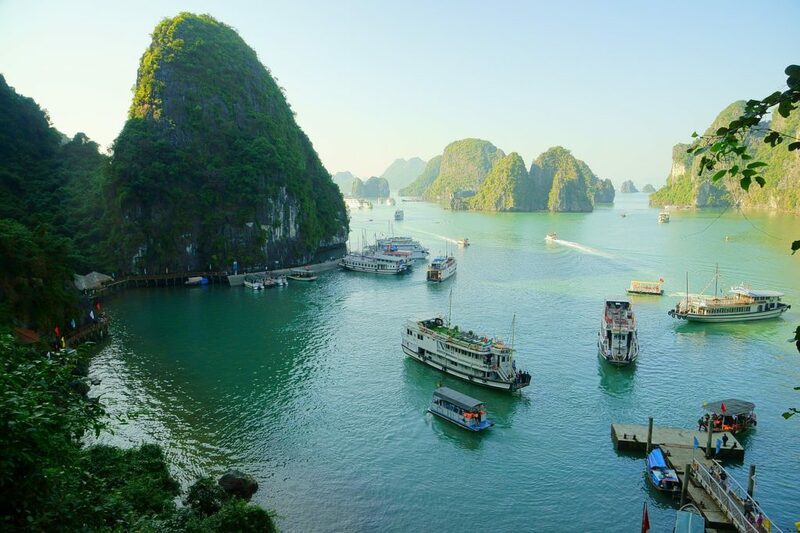 Vietnam is a great country and a wonderful, eye-opening holiday destination. Here’s some practical information about Vietnam and some handy traveller hints. Enjoy! Internet: You can find Internet access almost anywhere in Vietnam. At times you’ll have Internet access from your hotel room, in other hotels you’ll have access to an Internet lounge. 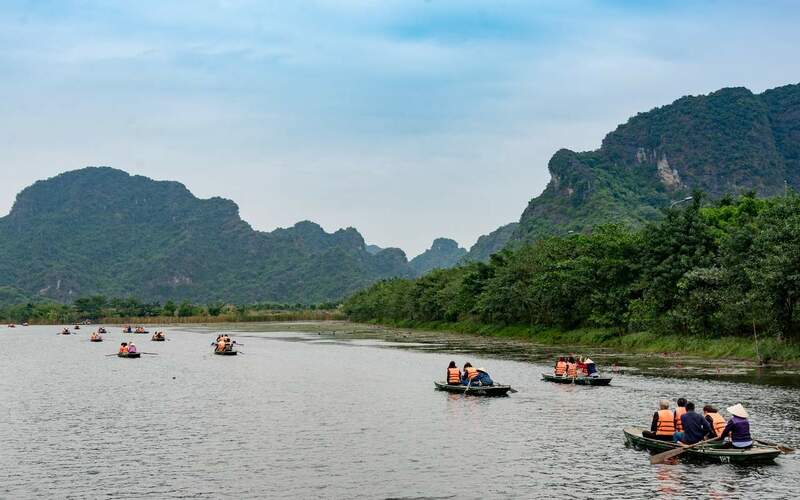 Vietnam is known for its many valleys, the famous Mekong Delta and the warm and friendly Vietnamese people. It shares borders with China, Laos and Cambodia and has tall mountains, rice paddy terraces on rolling hills, white sandy beaches and beautiful waterways. 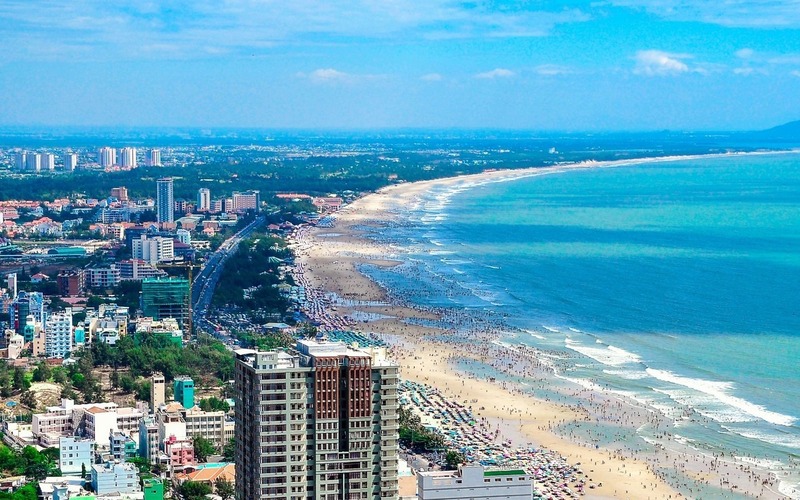 Most travellers start their trip in Hanoi and end with a few days at the beach. It’s also possible to fly into Saigon. These days the city is known as Ho Chi Minh City, after the people’s hero ‘Uncle Ho’. More than 86 million people live in Vietnam. Most live in the larger cities; however there are still quite a few mountain tribes, especially in the far north. 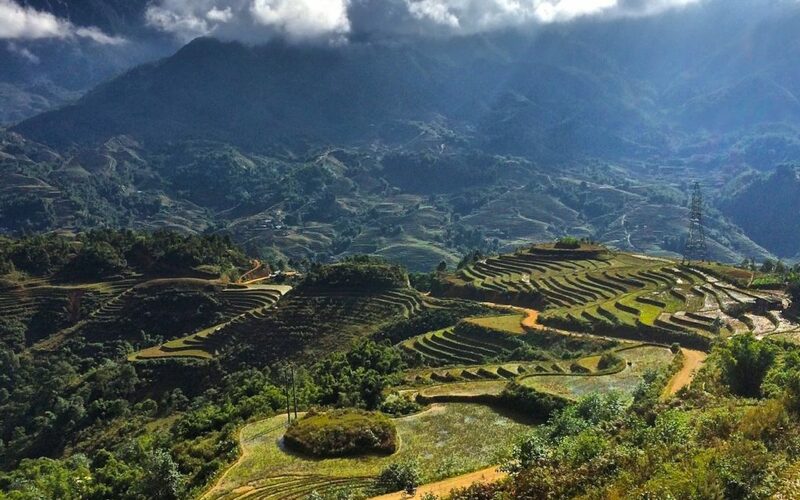 We strongly recommend spending some time in the mountainous area of Sapa trekking and meeting the locals. For a taste of Vietnamese culture, you can visit the town of Hué and if you’re looking for fun, visit Hoi An. You can cycle through the surrounding rice paddies, visit a nearby beach or take a cooking class to learn how to make traditional Vietnamese dishes. Time difference: It’s 6 hours later in Vietnam than the UK. An additional hour is added during our winter time. Best time to travel: December to May, although you can travel at anytime really. Language: Vietnamese is the official language, however many people understand English. Menus and books are also available in English. In some areas you may even hear people speaking French, since Vietnam was once a French colony. Currency: The Vietnamese Dong, although many places accept and quote prices in US$. The exchange rate fluctuates on a daily basis, but to give you some indication £1 is about 25,450 VND (Vietnamese Dong). Telephone calls: You shouldn’t have any problem using your mobile, but this could be quite expensive. It’s possible to buy an international phone card that you can use from a telephone box. Photography: Keep in mind that you may not be allowed to take pictures all over Vietnam; always ask permission and show restraint when taking photos. Voltage: Electricity in Vietnam is 220 Volts, alternating at 50 cycles per second. If you travel to Vietnam with a device that does not accept 220 Volts at 50 Hertz, you will need a voltage converter. The electrical sockets are different from what you’re accustomed to, so it’s best that you bring along a universal plug adaptor.